In 2014 I've joined up with the Science to Sport coaching team to not only improve my own coaching knowledge but also to offer athletes the latest training techniques specific to road cycling and mountain biking. I started my professional cycling career in 2004 at the age of 18. For 2 years (2004, 2005) I formed part of the Liberty Ladies cycling team whilst finishing school and studying BSc Dietician at the University of Potchefstroom. In 2006 I travelled to Europe in order to pursue my cycling dream at the time, which was to race as a member of a top professional ladies team. I rode for the Konica Minolta team during the South African season (Jan to March and Oct to Dec) and for British UCI trade team FBUK in Europe from April to September. In 2007 I continued with team Konica Minolta during the South African season. In Europe I was offered a contract with the best team in Belgium, Team Lotto Belisol. While riding for them I became the first South African woman to participate in the Ladies Tour de France, the Tour de Feminine. This two pronged attack was maintained in 2008 when I raced for a second season with the Lotto Belisol and Cycle Lab Ladies teams in Europe and South Africa respectively. After achieving what I set out to achieve in Europe I switched over to mountain biking the following year (2009) in pursuit of a new challenge still racing in the Konica Minolta (bizhub) colors. I formed part of the Konica Minolta outfit until the team’s demise in 2013. 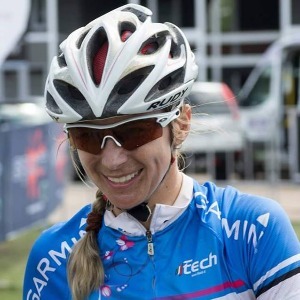 In 2014 I became part of the Garmin SA Team as a brand ambassador and also joined the Science to Sport coaching panel as a cycling coach and have been with them ever since. Success. Coach Yolandi du Toit has been notified of your message.